by Save Reginald! Save Tidemill! We are residents, neighbours, garden volunteers and users, fighting for the regeneration of the Tidemill site to be done for and with the community, and not for private profit. We, the Save Reginald! Save Tidemill! 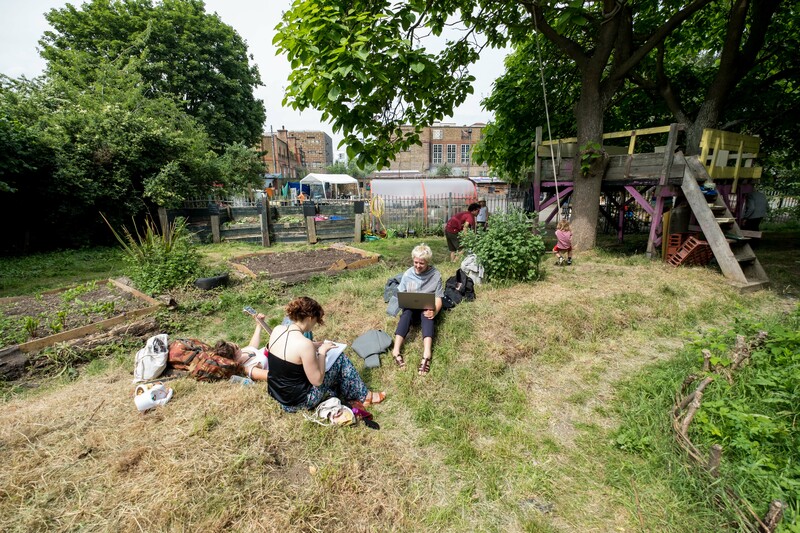 campaign, are raising money to challenge Lewisham Council's decision to demolish the council homes of Reginald House and the community-run Old Tidemill Wildlife Garden, as part of a regeneration scheme of the Old Tidemill site in Deptford, London. Please donate so we can save Reginald House and save Old Tidemill Garden! We want to mount a judicial review against the Council's approval of the plans, and get them and their partners to redraw the plans in partnership with the community, so Reginald House and Old Tidemill Garden are kept, and as many social homes as possible are built on the land. This IS possible, and we have produced alternative architectural plans to show it, however the Council have listened far more to their private developer partners than to the community, who have been ignored and treated with contempt. We need your support to expose how the Council is going against it's own environmental, housing, human rights, equality and air pollution policies, how they have abused the planning process to push the plans through, and the sham nature of their consultation process. And to force them to redraw these plans in partnership with the community, via a transparent and collaborative process. Our solicitor is Richard Buxton, an environmental and public law lawyer who is also concerned about social housing and social justice - he recently saved saved Lewisham's Croft Street Trees. Reginald House residents have good homes, but council has refused to listen to them or to consider a plan which keeps their homes. Instead the residents have been lied to and harassed by council officers, and their homes run down. Lewisham Council should respect its residents’ needs and wishes and not break up communities. Any redevelopment must include, not bulldoze, the thriving Garden which was built in the 1990’s by local people, teachers, parents and kids from Tidemill School. 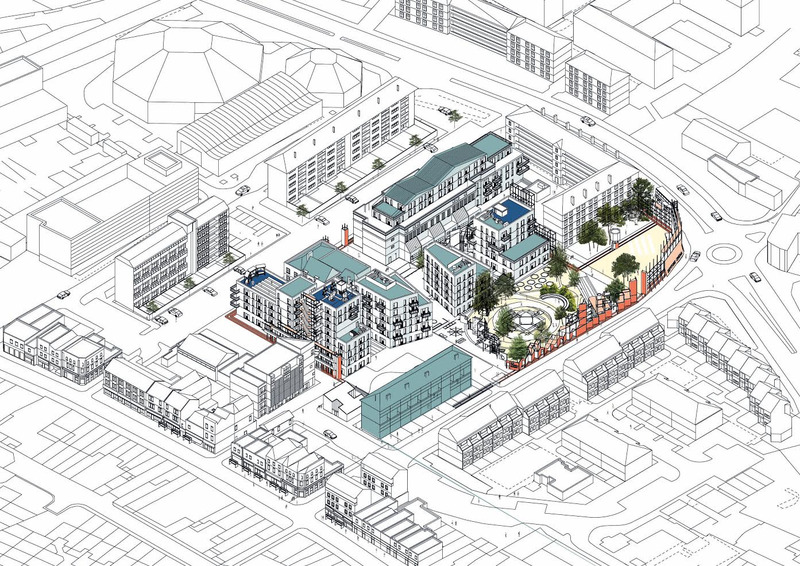 An alternative architectural plan shows how the garden and Reginald Road CAN be kept by building on the playground and developing the old school buildings. This area has some of the highest pollution levels in London, which will only get worse if the garden is lost. And the green space on the site should be kept public, not transformed into private gardens as under the current plans. Lewisham Council want to sell this land, meaning a valuable public asset will be lost forever. Millions of pounds of public money is being spent to subside this development, behind a cloak of secrecy due to the ‘confidentiality clauses' of the Council’s private partners. Our campaign has already had a big win in pushing up the proportion of social homes on this site from 8% to 49%. But these can and should be built without demolishing existing council homes and valuable green and community space. This land should be redeveloped in partnership with the community - to build as many social homes as possible but keep our invaluable current homes and community Garden. Please support us to halt this damaging development, and to push for one for and led by the community. 2. The second one will be to pay for a barrister to represent us in the High Court for the Judicial Review. Even with all the goodwill being given to us by the Solicitor and Barrister, we will need to raise £21K to cover the work preparing for the Court Hearings and representation at the Hearings. Please help us to ensure we put our best case forward by continuing to share the link to the case page.